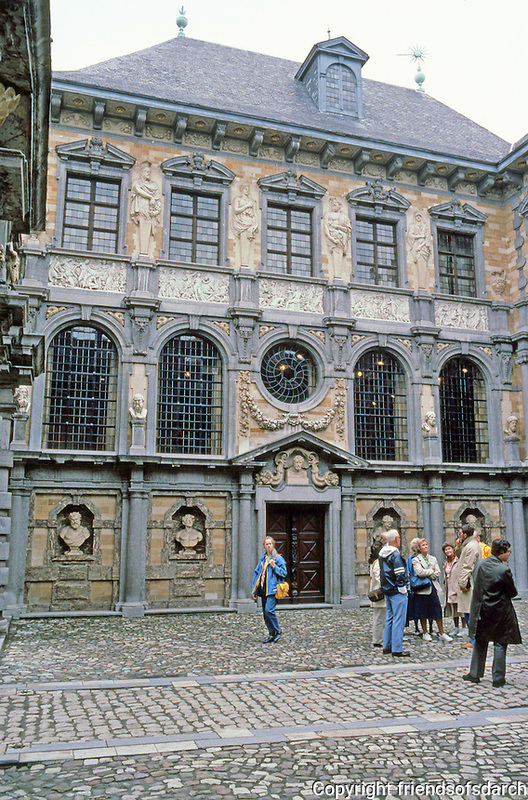 Antwerp: Rubens House--facade of studio facing inner court. Portico just visible to left. In lower niches, busts of Satyr, Faun, Pan & Sinenus; between windows are Plato, Socrates, Seneca & Sophocles, & Marcus Aurelius, and higher up, Mars, Jupiter, Jono & Vesta. Photo '87.